I have been wanting to get a tattoo for a very long time. I even made an appointment once. I spent days psyching myself up for it only to be cancelled by the tattoo parlour on the day. I never made another appointment. The reason I keep on putting it off is that I keep on seeing REALLY BAD tattoos out there. I know people have different tastes, and 'each to their own', but when you see a +30cm paw print like this on a man's shoulder... it is NEVER a good look. And then there are times when you see a tattoo that obviously means something to that person, and it looks beautiful. A colleague of mine has 'Love Life' on her wrist and it really sums her up. 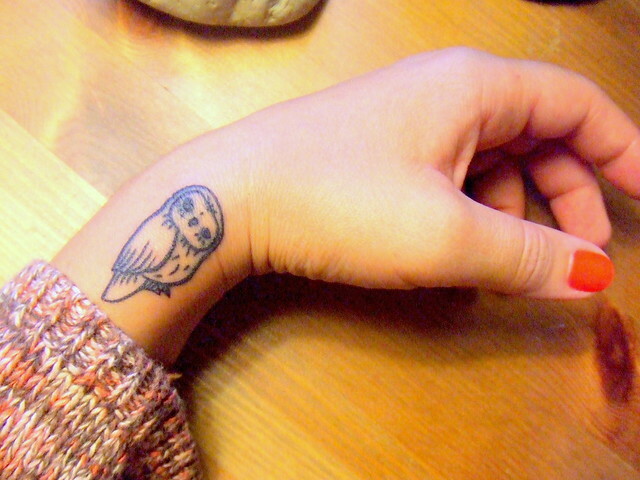 Or then you see an owl tattoo like this, which I think just looks pretty. I have been thinking about what I would get tattooed for years and I keep on coming back to the same thing - this Leo symbol. As I have mentioned before, my star sign is Leo, and it sums me up. OK, so I do not embody ALL the strengths/weakness of a Leo... but it does describe me very closely. I also keep on coming back to Emma's 'Love Life' tattoo. 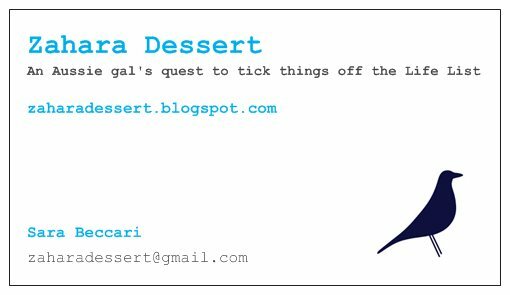 I have been working on Zahara Dessert and my 'Life List' since January and I am loving every minute of it. Putting the list together and writing about it here on my blog makes me SO happy and fulfilled. I don't care if people don't actually read the blog. I just love and get a kick out of writing it and ticking things off my Life List. I am now thinking that maybe I should get a tattoo that relates or represents my Life List? I had some interim business cards created recently for the Blogopolis conference I am attending and I wanted to put a picture that represents the blog on the cards. For some reason the post I wrote on LL #33: 'Buy an original Eames' is the most viewed post on my blog by A LOT. There must be a reason for this? So I used the Eames bird silhouette on my cards to somehow represent my blog and that post. Maybe I should get this Eames bird as a tattoo as well? Maybe not? in the world, but I was in a rush and this is what I came up with. They are very much interim cards. A big decision to make. I need to bite the bullet and just get it done. It is on the List! I will keep you posted on how I go with #67﻿. 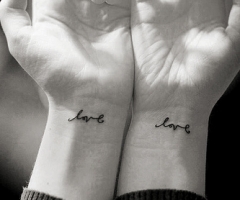 i love tattoos on other people, but could never get one personally. i heard once, as a way to see if you'd get sick of the tattoo or not, frame a picture of the piece you're thinking about and leave it by your bed...after a month, see if you're bored with it or not. hope that helps! That is a great idea, thanks for the tip. I have been carrying a picture of the symbol in my wallet for years and I am still not sick of it, so maybe it is the one? I will keep you posted.